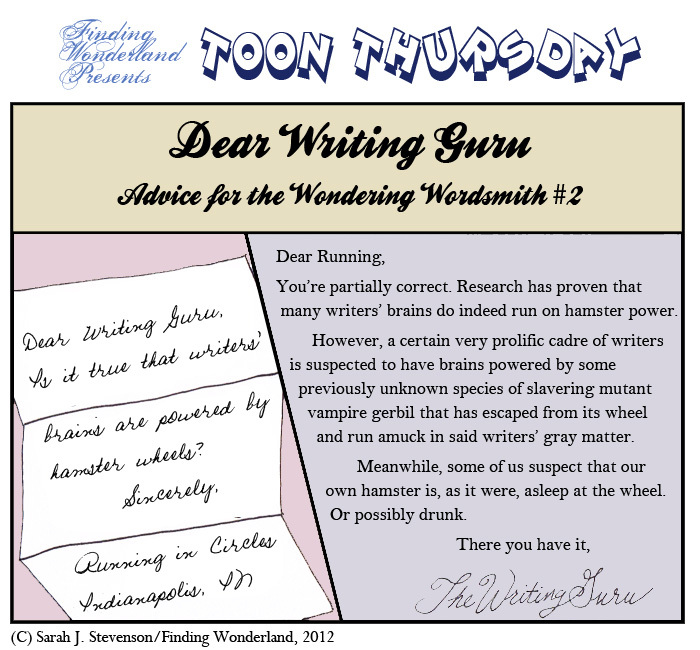 ...and my thanks to blog bud/fellow YA author Jenn for this week's toon idea! Enjoy, and as always, click to view a larger version. 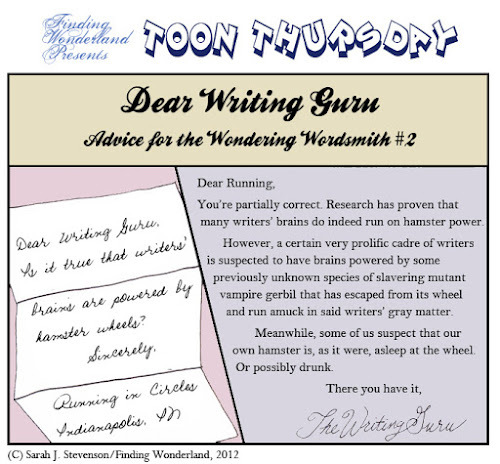 You, too, can submit a question to the Writing Guru! Simply leave it in the comments and the Guru will ponder the worthiness of your request. Vampire gerbils!!! This is what the world has been missing. I'd totally believe in vampire hamsters, too. Those things are bitey little bastidges.